Next month, local advocacy groups and the Kern County Sheriff’s Office will reveal data about the local immigrant community at Kern County’s first TRUTH Act Forum. The TRUTH Act Forum gives the sheriff’s office an opportunity to explain how it is enforcing California laws that protect immigrants. The department will also present data that show whether or not the department is abiding by the law. Kern County Sheriff Donny Youngblood and his department did not respond to multiple requests for comment. His office said he plans on attending the forum. The TRUTH Act supports immigrant communities and shields them from “federal attack of mass deportation,” said Rosa Lopez, the community engagement and policy advocate for Kern County’s ACLU office, another participating organization. The forum is an effort to separate collaboration between local law enforcement agencies and ICE, Lopez said. “We are trying to detangle that partnership,” Lopez said. The California Transparent Review of Unjust Transfers and Holds (TRUTH) Act, passed into law in September of 2016, provides vital “know your rights” information to immigrants who are in ICE custody and brings transparency to local law enforcement participations in federal immigration enforcement. A community forum is just one requirement of the act. It also requires local law enforcement — prior to an interview between ICE and the person in custody — to provide a written consent form in multiple languages to explain the purpose of the interview, that it is voluntary and that the individual may decline the interview. The law ensures that if local law enforcement agencies provide ICE with notifications of an individual’s release date and time, then the agency must also provide the same notification to the individual in custody and their attorney, according to the bill. The law requires local police agencies to collect information and data when ICE requests transfer holds and interviews with individuals in custody. KCSO will present this data at the forum. Kern County is one of the top 25 counties in the country with the most ICE arrests between October 2017 to May 2018, according to a report by Syracuse University. During the eight-month period, ICE arrested 282 people. Lopez and Tovar don’t want to attack or accuse the department, they said. Their goal is to answer and respond to the community’s concerns. However, Lopez and Tovar said they have received reports that ICE and the Kern County Sheriff’s office collaborate. Youngblood told Eyewitness News in March he disagrees with Senate Bill 54, which separates California law enforcement agencies and ICE and is more strict when it comes to local police targeting individuals based on their immigration status alone. Although he doesn’t agree with the law, Youngblood told Eyewitness his office abides by the law. He also told the news agency his department does not go on sweeps with ICE. The TRUTH Act protects the rights of undocumented people, preventing deportation; however, there are some exceptions depending on the crime. Tovar and Lopez want the department to be transparent with the community and want to hold local elected officials accountable. Participating organizations include ACLU, the UFW Foundation, Dolores Huerta Foundation, Faith in the Valley, California Immigrant Youth Justice Alliance, Vision Y Compromiso and Building Healthy Communities. The forum is scheduled for 9 a.m. on Dec. 11 in the Kern County Board of Supervisors Chambers, 1115 Truxtun Ave. The public is encouraged to attend. 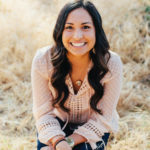 Elizabeth Sanchez is the program associate for South Kern Sol. She can be reached at elizabeth@southkernsol.org.